Saline Fiddlers Philharmonic helps to preserve American culture through the mastery and performance of traditional forms of music, song and dance, spreads and reawakens an appreciation of this type of music, serves as a model of alternative music education, and furthers the social development and musical abilities of its student members. The group conducts 50-60 performances each year including many at schools, churches, hospitals, senior facilities, and for fund raising events for other non-profit organizations. Saline Fiddlers Philharmonic is a music education and performance organization with IRS 501(c)(3) non-profit charitable designation. Supporter – $30 Receive our e-newsletter and a listing in the next Hometown Show program. Neighbor – $60 Receive the benefits above plus a postcard from our travels. Friend – $120 Receive all the benefits above plus one ticket for the next Hometown Show. Foot Stompin’ Fan – $250 Receive all the benefits above plus two tickets for the next Hometown Show. Fiddlin’ Enthusiast – $500 Receive all the benefits above plus four tickets for the next Hometown Show and your name listed on all Saline Fiddlers Philharmonic performance programs for a year. Pardner – $1,000 Receive all the benefits above, including the four tickets for the next Hometown Show, plus have your name and logo on all performance programs and the major sponsor signs for a year. Hoedown Host – $2,500 Receive all the benefits above plus six tickets for the next Hometown Show and have your name and logo on advertisements and posters for the next Hometown Show. Pickin’ Circle Player – $5,000 Receive all the benefits above plus eight tickets for the next Hometown Show and have your name and logo on ALL Saline Fiddlers Philharmonic publicity materials for a year, including the tour T-shirt. Special Opportunity for Pickin’ Circle Players – Have your logo on the Saline Fiddlers Philharmonic truck for a multi-year commitment as a Pickin’ Circle Player. If you prefer to mail in your donation, CLICK HERE for a printed donation form. Saline Fiddlers Philharmonic is proud to have achieved a bronze star from GuideStar. 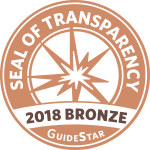 GuideStar’s mission is to revolutionize philanthropy by providing information that advances transparency, enables users to make better decisions, and encourages charitable giving. Click on the button below to donate now using your PayPal account or credit card, or use the link at the bottom of the page for a mail in donation form.